I have been a Young Living™ essential oils distributor since 2005, when I first learned about the company from my reflexology teacher in Southern Maryland, USA. Previous to that, I used Likisma essential oils and aromatherapy products when living in the UK, and found myself creating blends that helped to support myself and others. 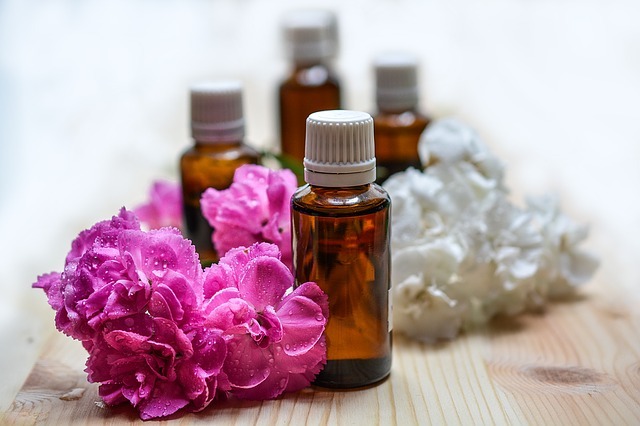 Therapeutic grade essential oils are generally of a higher quality than those available in everyday products such as shampoo and bubble bath that you may see in your local store. I started using Young Living™ essential oils with my reflexology clients to help them relax during sessions and never looked back. Clients are able to relax deeply during reflexology work and get the most out of their session. I love this month’s theme from Young Living, which is ‘Freedom‘. This month they are offering products which can help us stay motivated and fearless, even in the face of obstacles, fears, and critics. Lavender is a wonderful essential oil, and a great addition to anyone’s collection if you are thinking of beginning to work with the oils. This month’s bonus oil is Lavender Vitality, which can be taken internally to support restful sleep. I’d also recommend the standard Lavender blend, which can be added to baths, skin-care products, body scrubs, or even used for a back or neck massage. Add Epsom salts to your bath as well, and you have a spa-like experience without even leaving home. July 2018’s offers also include the LavaDerm Cooling Mist to help you stay comfortable in the hot weather. I also like to use Young Living’s peppermint oil, which is extremely strong and only needs to be used in small quantities. A drop on the wrist gives a cooling effect. If you’d like to add the peppermint to teas or cold beverages, I recommend using a toothpick and just mixing the smallest amount in your drink so you can adjust to taste. Valor oil blend is an old friend of mine and I first discovered its’ benefits when I rubbed it on clients’ feet during reflexology sessions. In my opinion, it helps balance and uplift, helping you through your day and supporting a positive attitude. This oil is so popular that orders are limited. It does last very well, however, being the thicker of some of the oil blends. Also, watch out for it near your white sheets, it has blue tansy oil in it and can sometimes mark lighter fabrics. I couldn’t write a post like this without including a very good friend of mine, Young Living Sacred Frankincense™. Frankincense was considered a treasure from ancient times and encourages spiritual awareness, so no wonder it was given as a gift by the Magi to Jesus himself. I keep a bottle of Sacred Frankincense essential oil at my desk for work with clients, when I give Akashic Records Readings I find it can help support me as I open up my vibration. I just dab a little on my wrist or neck area and ‘wave’ the scent over my crown chakra and third eye chakra for support on the spiritual journey. Aroma Life™ is a blend of oils and contains sesame seed oil, cypress leaf oil, marjoram leaf oil, ylang-ylang flower oil and helichrysum flower oil. Essential oil blends are a way of creating not only beautiful new scents but an end result which can help support us in completely different ways. In the case of Aroma Life, it can help create a sense of connection and help energize the spirit. Geranium essential oil is steam distilled from a species of geranium native to southern Africa. It can be used as a natural perfume or can be diffused, and as such has a calming, rose-like aroma. Also consider adding it to moisturizer and using as a skin product, and last but not least, it’s also wonderful in the bath! Young Living oils have been an essential part of my life since I discovered their benefits in 2005. I do believe they can help support us on our spiritual journey, as well as helping us relax and relieve stress in a natural way. Feel free to contact me if you’d like some help getting started with Young Living, and I hope you enjoyed my tips about using essential oils. 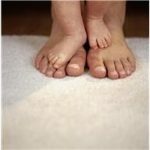 How Reflexology Can Help Pregnant Moms - And It's National Reflexology Week This Week!